My friend Meghan got wind of my jogging and told me of a half marathon that she thought we should sign up for. My response was “HA! Yeah, right! I could never do that.” Was she aware that a half marathon was 13.1 miles? That was 10 miles more than I was currently pushing myself to do. Was she nuts? One perfect afternoon in late summer, Meghan took me for a run outside. Running outside with no TV, no fan strategically placed to keep me cool, no bathroom close at hand for…you know…was new to me. But to my surprise, our run in beautiful Waterton Canyon was so enjoyable. We saw wildlife, joggers, and bikers, and even chatted as we ran. I was more than surprised when we came to the end of our run and Meghan told me we’d gone 5.5 miles. She also couldn’t resist slipping in the fact that 5.5 was more than 1/3 of a half marathon. After my longtime, childhood friend, Katie, who is just as wimpy as I am, said she wanted to challenge herself with a race, I finally gave in and told Meghan that, while I wasn’t promising anything, I’d sign up for “the half” and begin training with her. We followed a running program for novices and before I knew it 5 miles became 6, 6 became 8, 8 became 10, and then the weekend before the big day I ran 12 miles. I could hardly believe it; if my knees and feet hadn’t been so sore, I would have thought I dreamt it! Race day (and I use the term “race” very loosely) finally came. 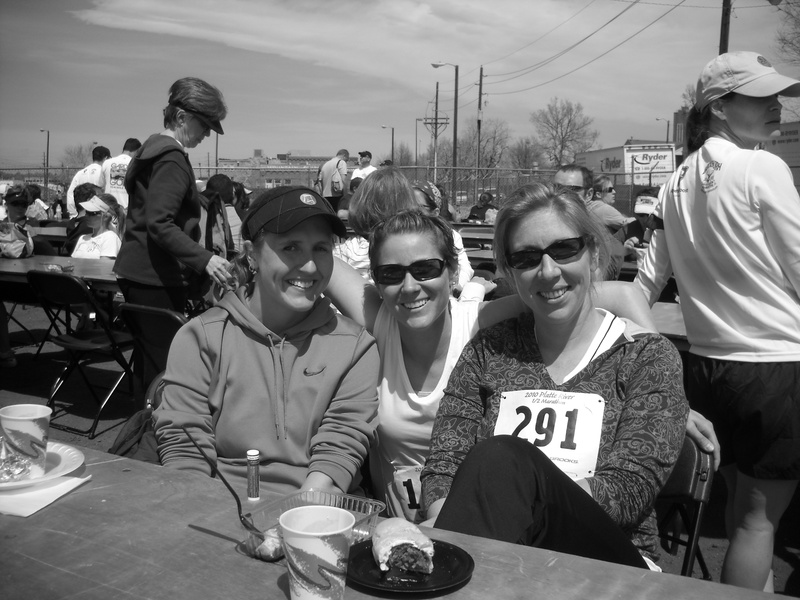 Meghan, Katie, and I were up before the sun, and by noon that day we had all accomplished running our first half marathon. For me, it wasn’t as magical as I had hoped thanks to a very painful ear infection and “the curse,” which out of 30 days in a month decided to hit me on race day (of course). But I did it. I finished those 13.1 miles that I never thought I could. And I did it all at the ripe age of 34. I was such a wimp in junior high!